Savage Tile Company is ready to introduce your home or small business to the beauty and benefits of tile. We work with all types of tile, across all the different rooms of your home, producing high-caliber results that look great and last. We’re licensed and insured, with decades of experience. Adding tile to your home is a great way to upgrade its appeal, resilience and value! Savage Tile Company will make sure that your investment in tile goes the distance, providing you with absolutely stunning results, high-caliber workmanship and tile products that are ready to stand the test of time. From a new tile backsplash in your kitchen to a new tile floor installation in Memphis, TN for your entryway, our installers have the experience, dedication and attention to detail you want when it comes to making a home upgrade. 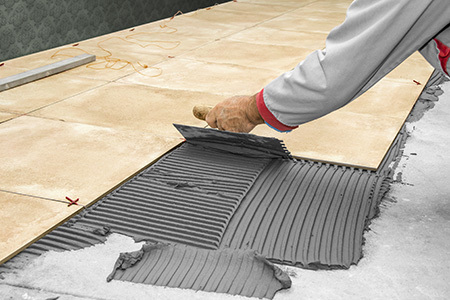 Our experience extends to bathrooms, kitchens, entryways, hallways and just about anywhere else in your home, as well as to small business facilities that will benefit from new tile installations. Going even beyond just being tile flooring installers in Memphis, TN, we’re also equipped to help you with your home renovation projects. Our familiarity in working with tile in kitchens and bathrooms in particular has given us insight into full renovation expectations, including countertops and backsplashes, among other focal points. We’re available for everything from simple improvements to full-scale renovations, promising results that exceed your expectations and bring new beauty to your home. Consult with our friendly, experienced professionals today about your upcoming project to see exactly how we can bring value into your home! We have an enormous selection of tile options in numerous materials, including ceramic, glass, quarry, marble, granite, porcelain and slate. 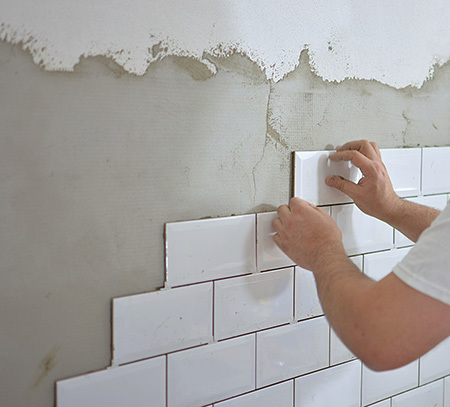 Our abilities include tiling services for walls, bathrooms, surrounding tub area, kitchens and backsplashes, as well as custom jobs. We’re a member of the Better Business Bureau (BBB) and the West Tennessee Home Builders Association, ensuring high-quality work and great customer service. We’ve been in business since 1985, with craftsmanship and a dedication to quality that shows through in every job we do. Count on us to provide you with a free estimate on all projects. We aim to always provide clear and consistent quotes, with no hidden fees.